WEDNESDAY, Aug. 3, 2016 (HealthDay News) -- Opioid medication users may be abusing and misusing the seizure and nerve pain drug gabapentin, a new study finds. Researchers looked at test results of 323 patients who were prescribed opioid pain medications. The patients were being treated at pain or rehabilitation clinics, primarily in Arizona, Indiana and Massachusetts. About one in five of the patients tested positive for gabapentin (Neurontin), but didn't have a prescription for the drug. Of the patients taking gabapentin illicitly, 56 percent were taking it with an opioid, 27 percent with an opioid and muscle relaxant or anxiety medication, and the rest were taking it with other substances. The study was presented Wednesday at the American Association for Clinical Chemistry's (AACC) annual meeting in Philadelphia. "The high rate of misuse of this medication is surprising and it is also a wakeup call for prescribers," study author Poluru Reddy said in an AACC news release. Reddy is medical director of ARIA Diagnostics and ARCTIC Medical Labs. 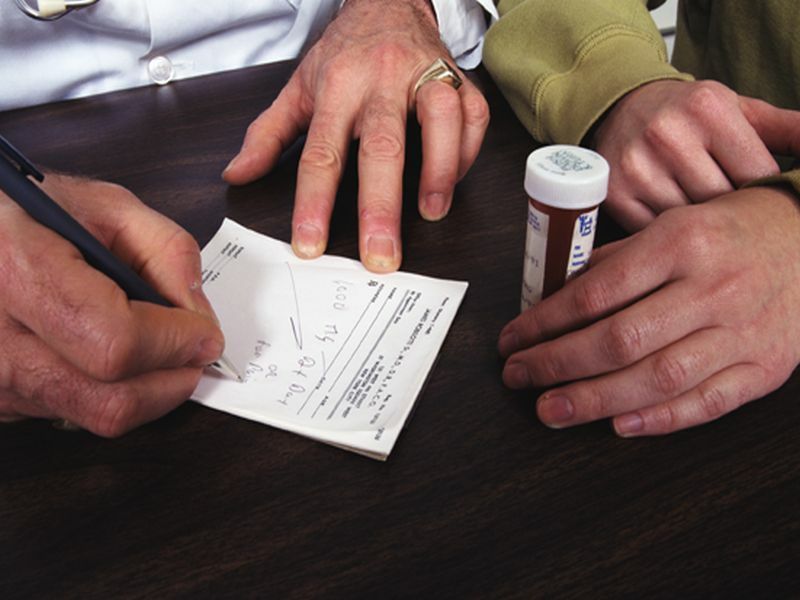 "Doctors don't usually screen for gabapentin abuse when making sure patients are taking medications, such as opioids, as prescribed. These findings reveal that there is a growing risk of abuse and a need for more robust testing," Reddy said. Between 2008 and 2011, there was a nearly fivefold increase in the number of visits to emergency rooms in U.S. cities for misuse or abuse of gabapentin, the Drug Abuse Warning Network said. Taken alone, gabapentin poses little risk for abuse and addiction. But the drug is abused to boost the high a person gets from opioid painkillers, muscle relaxants and anxiety medications, such as Valium and Xanax. "This research tells doctors and prescribers that they need to be cautious in prescribing gabapentin and closely monitor patients with a history of drug abuse," Reddy said. "And patients need to know that medications that are safe alone can be dangerous when mixed without talking with a doctor," he added.